Topics: Straight To…, Motoring, Property And Housing, Employment, Travel, and Transport And Roads. 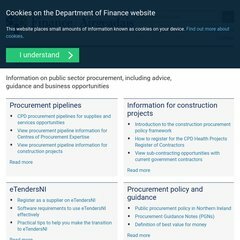 Its web server is located at Northern Ireland Civil Service (Northern Ireland, Belfast.) It has 5 nameservers, including ns0.bt.net, ns1.bt.net, and ns2.bt.net. Its local IP address is 145.229.156.226.